This post has expired! It was posted more than 499 days ago. In the framework of its Industrial Research Fund (IOF) and to facilitate applied research, the Antwerp University Association (AUHA members: Karel de Grote University College, Artesis Plantijn University College, Antwerp Maritime Academy and the University of Antwerp)is seeking to fill a full-time vacancy (m/f) for aBusiness Unit Manager IOFfor the technological and strategic support of the business plan and valorisation of Blue_App, a pre-incubator with accompanying scientific and technological knowledge concerning sustainable chemistry. Blue_App will offer a range of technologies, such as: chemical catalysis, pilot scale chemical synthesis, innovative water treatment / nutrient recovery, biomass production, process intensification and downstream processing. On the BlueGate site, developed as a centre for sustainability, the BlueChem incubator will be build, which has the objective to facilitate start-ups in the domain of sustainable chemistry and to offer the companies that are present on the BlueGate site an attractive environment with a flexible technological framework and strong scientific know-how. The incubator will offer a mix of flexible workplaces for start-ups and individual offices and laboratories for companies andknowledge institutions. The Blue_App testing ground is an essential link between the research groups of the AUHA and BlueChem. 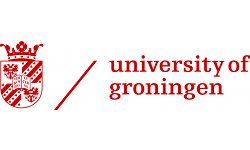 The position is funded within the framework of the Industrial Research Fund (IOF) under the provisions of IOF fellowships as in use at the Antwerp University Association (AUHA). Your main duty is to support the business plan of Blue_App and to initiate, guide and coordinate the intended valorisation initiatives, acting as an intermediary between the stakeholders in the domain of sustainable and green chemistry. 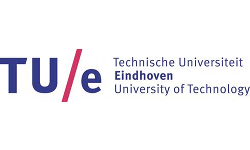 You translate the industrial needs in (multidisciplinary) research projects by connecting AUHA researchers with the right industrial partner(s). The main objective is to increase industrial collaboration on the topic of sustainable chemistry by acquiring bilateral funding or governmental grants related to industrial innovation and valorisation. You will be responsible for the project management within the business unit Blue_App and overseeing the optimal use of the infrastructure, in cooperation with the professors and researchers involved in the Blue-App project portfolio. You can offer the right mix of a broad scientific interest combined with an excellent feel for transferring research results in interesting business opportunities. You see these opportunities for collaboration from a broader perspective without the need to go into scientific details or niches in depth. You are proactive and aim at facilitating strategic partnerships between researchers and industrial actors. Additionally, you support researchers in the identification of the right exploitation trajectory for their research results. You support the project writing with the industry. Experience with daily management of a chemical business unit as well as a network within the broader ecosystem of the chemical sector is considered an asset. In the Blue_App consortium, multiple AUHA research groups are working together on a regular basis with private partners. Some of the professors and researchers are integrated in IOF-consortia and supported by a dedicated IOF fellow; you will work together with the IOF-fellows to achieve the Blue_App objectives. In particular, for all professors and researchers from the Antwerp University Association with relevant expertise in the Blue_App domain of sustainable chemistry in broad sense, you will become the key facilitator for collaborations with the industry. In this regard you facilitate the cooperation and integration with other research disciplines within the Antwerp University Association, as well as beyond. You are holder of a doctoral degree or have similar research experience in one or more of the relevant disciplines in the industry. You have a good knowledge of spoken and written English; if you’re not a native speaker in Dutch, you will achieve a proficiency level B2 in Dutch within 2 years. You are a networker and add a relevant network towards Blue_App and the AUHA. Date of appointment: as soon as possible. The actual starting date is open for negotiation. Please send your application with the mandatory application form, letter of interest, and curriculum vitae to uantwerpen.be">iof uantwerpen.be until the closing date: 11 March 2018. A pre-selection will be made from amongst the submitted applications. The remainder of the selection procedure is specific to the position and will be determined by the selection panel; for the selected candidates job interviews will take place 28 March 2018. Information regarding the IOF can be obtained via uantwerpen.be">iof uantwerpen.be.